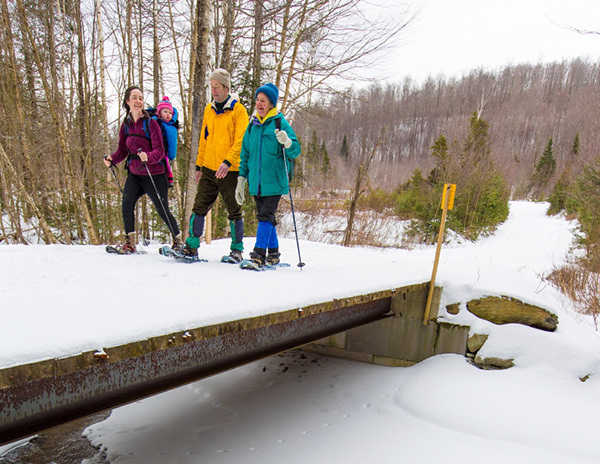 Less than a mile from the Long Trail and the Appalachian Trail sits 1,346 acres of verdant northern hardwoods, meadows, and wetlands—a haven for outdoor recreationists where opportunities to hike, cross-country ski, snowmobile, fish, and hunt are plentiful. The land is also an essential wildlife corridor between Coolidge and Aitken State Forests, offering refuge to animals including black bear, moose, fisher, and bobcat that range along the spine of the Green Mountains. Protecting this land has created more flood resiliency upstream of Rutland and conserved native brook trout habitat along two miles along the Cold River and four miles of other headwater streams. The Trust for Public Land worked with the state of Vermont, a generous landowner who donated 266 acres, and the communities of Shrewsbury and Mendon to preserve all 1,346 acres as a new state forest named in honor of the late Senator Jim Jeffords, a Shrewsbury resident with a long legacy of environmental stewardship and land conservation.